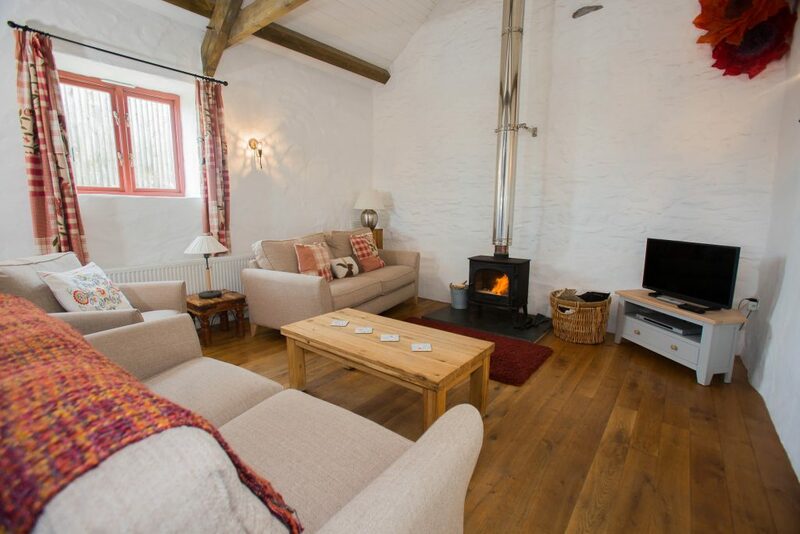 This delightful, stylish and spacious cottage has a unique character with oak floors and vaulted ceiling . 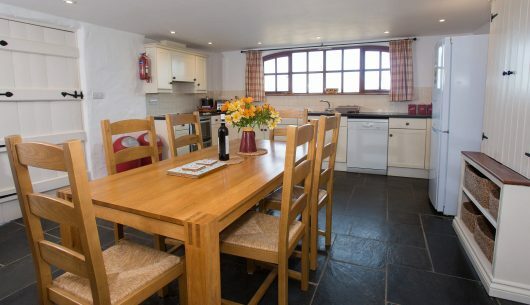 It has changed considerably since the days when it was Robs workshop! 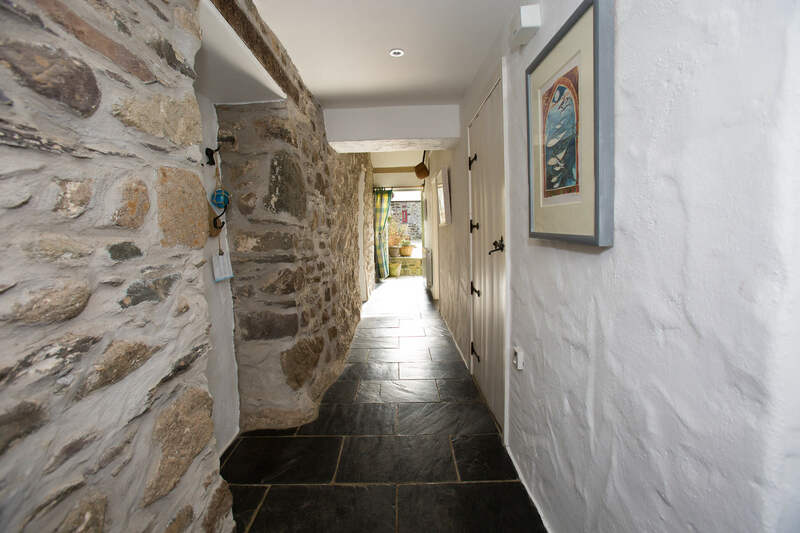 From the exterior the barn conversions remain true to their roots yet step inside and simple yet classy interiors provide that something special that draws many visitors back year after year. 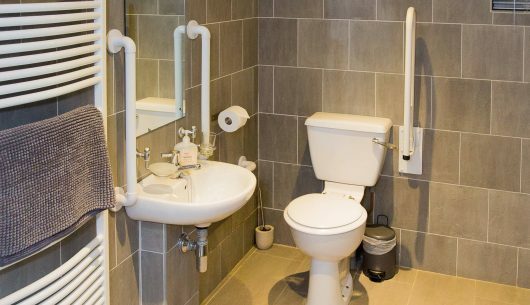 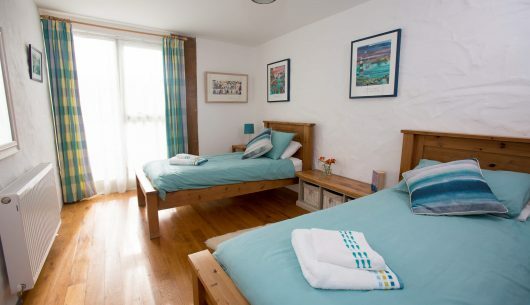 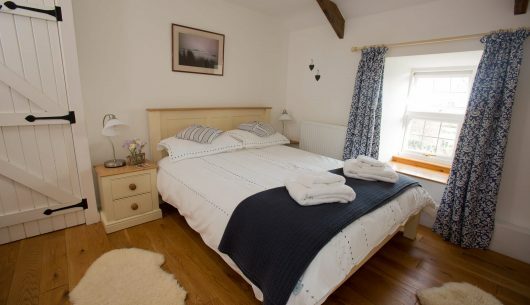 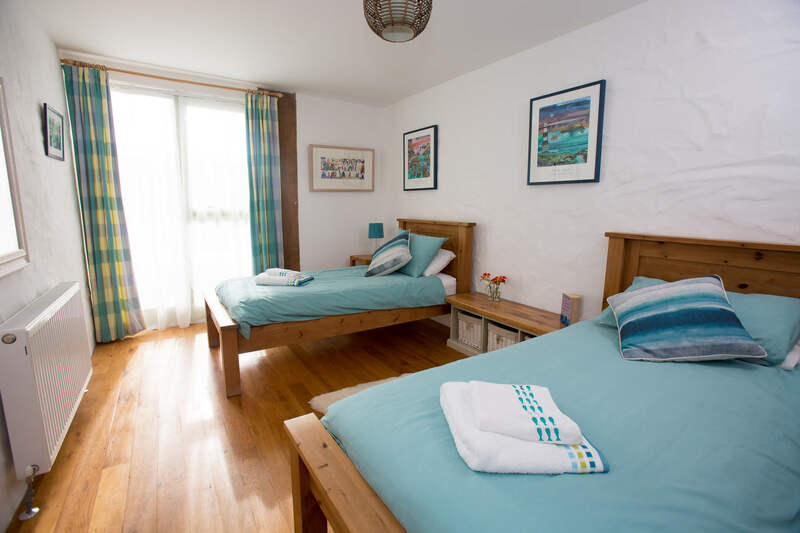 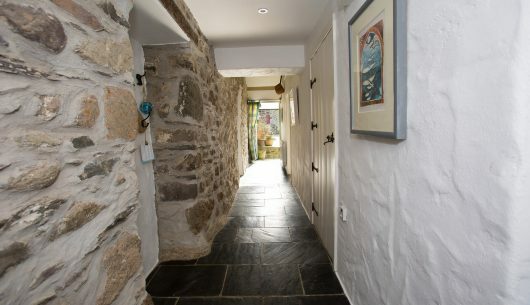 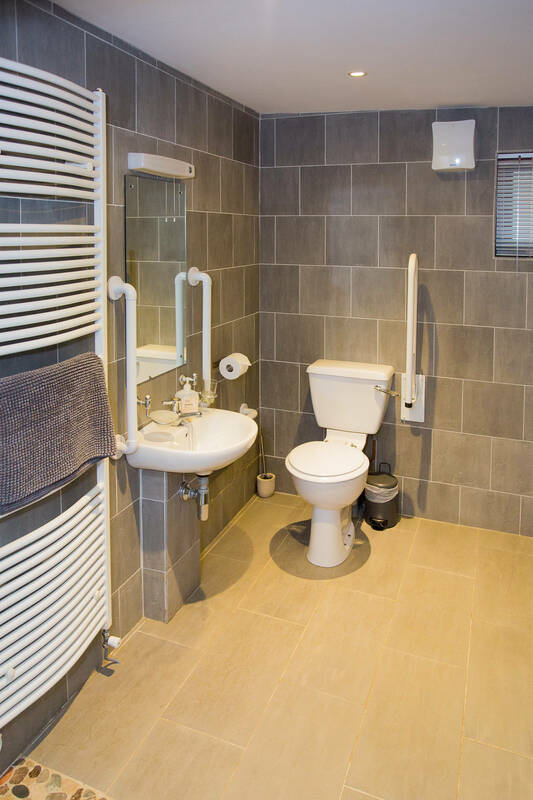 Downstairs there is also one twin bedded room with an adjacent wet-room(wheel in shower room) The cottage has been designed with wheelchair users or those with mobility problems in mind with no steps on the ground floor also undercover parking directly alongside the cottage entrance. 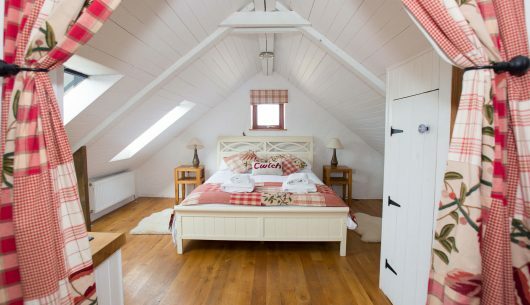 Upstairs a gallery bedroom with king size bed and room for a cot. 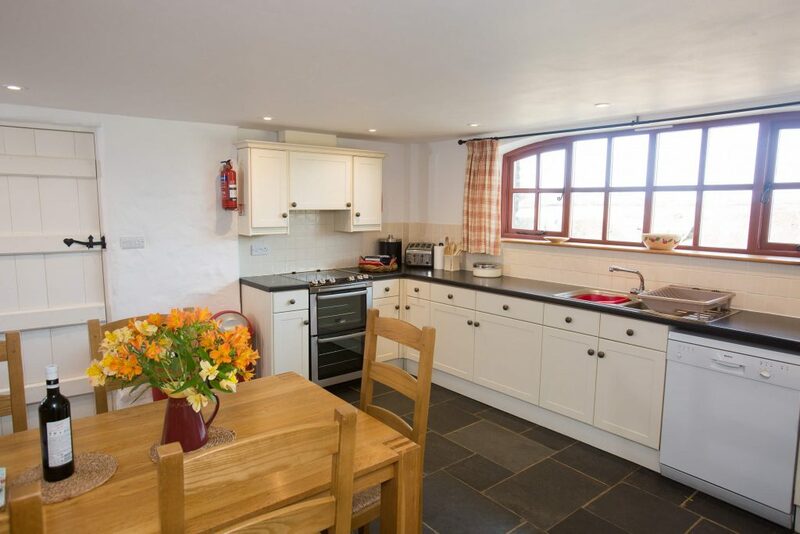 Covered parking and access.This cottage has a large entrance lobby , ideal for drying off dogs after those lovely coastal walks. 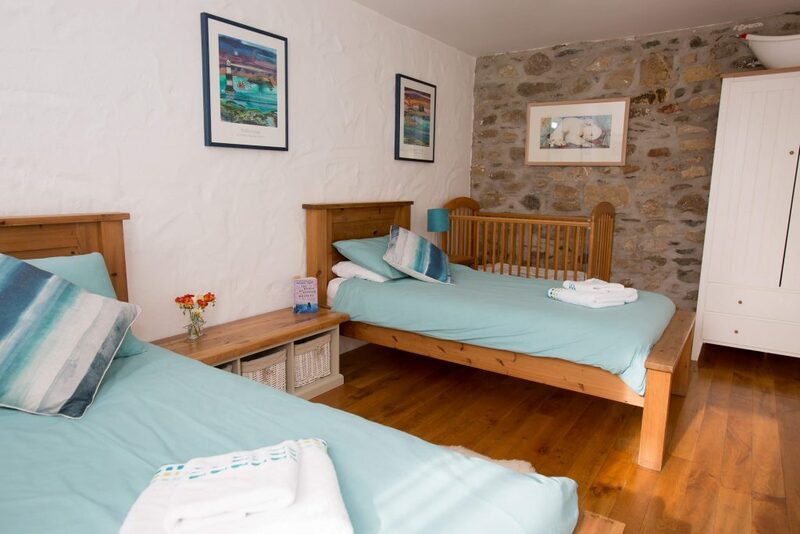 Perfect dog-friendly accommodation. 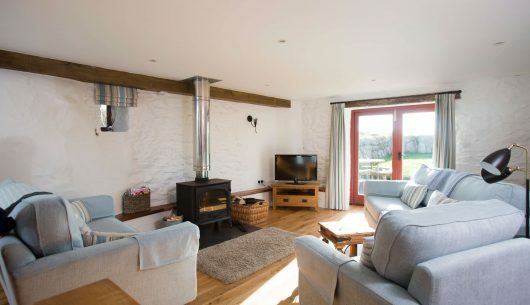 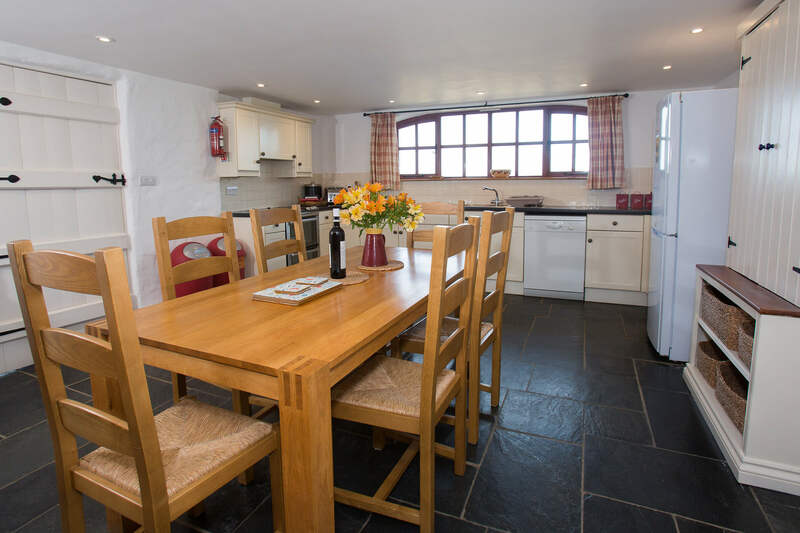 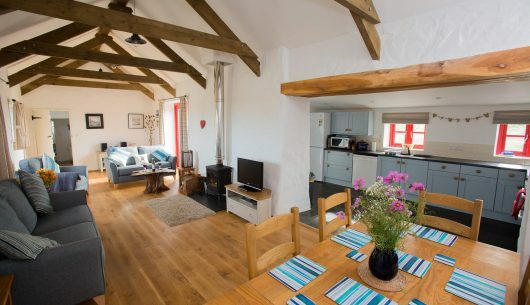 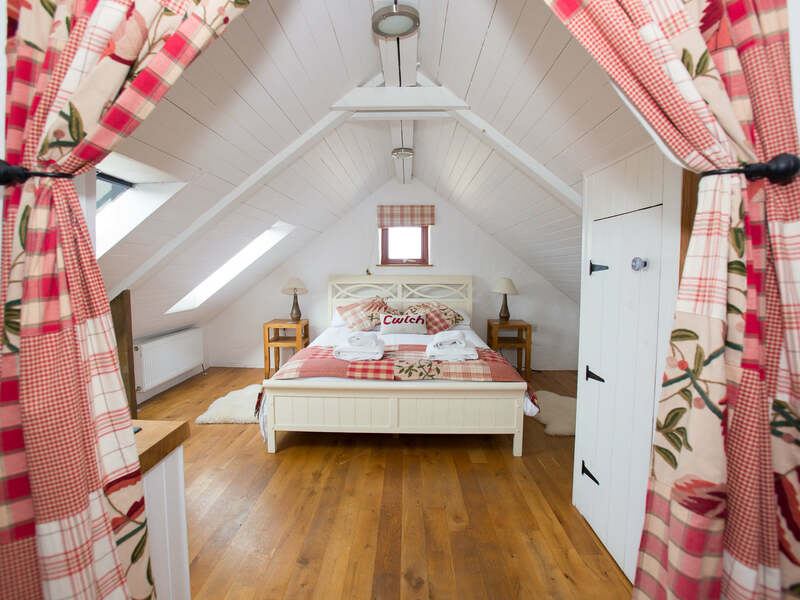 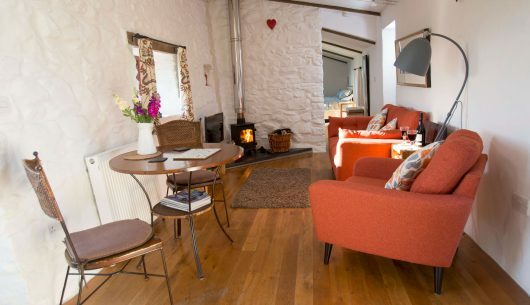 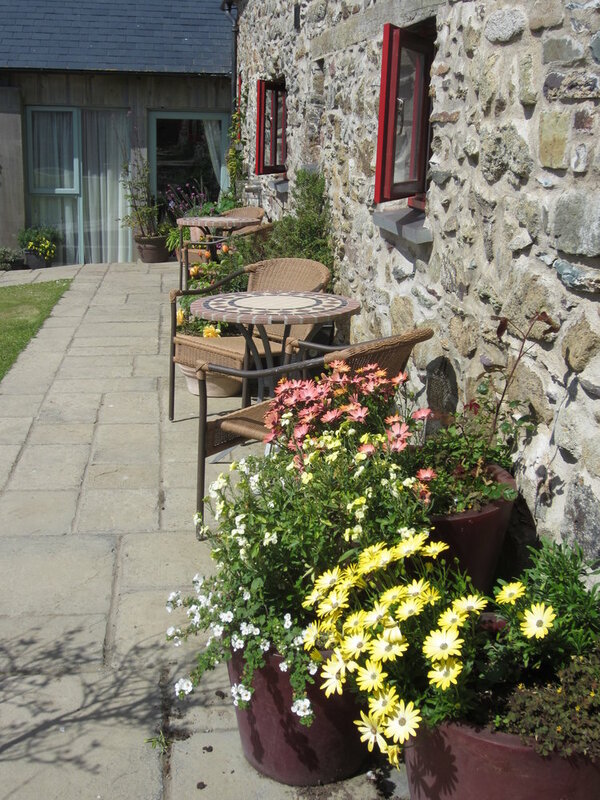 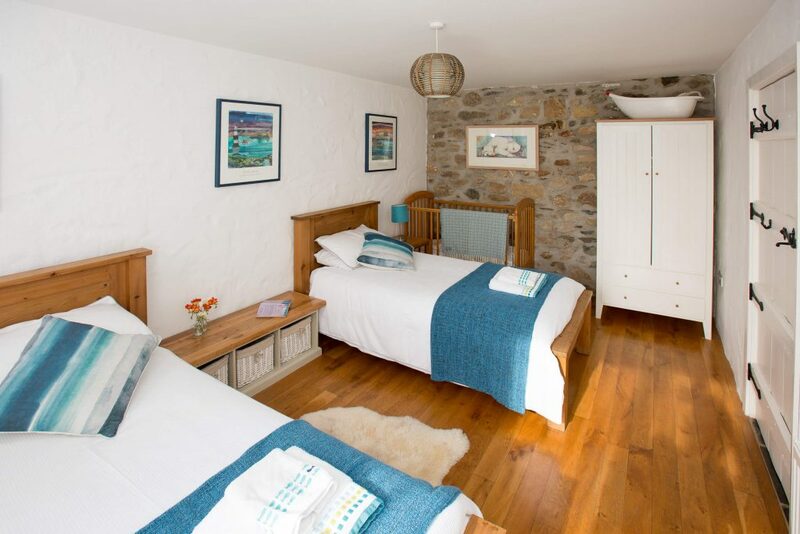 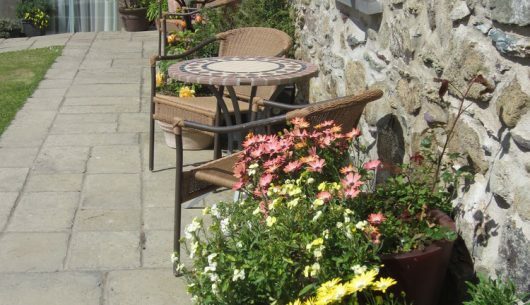 All cottages are of a traditional design with roofing peculiar to Pembrokeshire and for those cosy winter breaks all have wood – burning stoves with wood provided.